Once again the situation arises where the legal jurisdictions of several countries are involved (Spain, France and Luxemburg) in the allegations that Rothschild Continuation Holdings and NM Rothschild & Sons were the architects of illegal tax evasion products. As yet the fraudulent and secretive offshore tax havens such as Jersey, Guernsey, Isle of Man, British Virgin Islands, Caymans, have not made an appearance in the scenario but no doubt Rothschild will be taking advantage of shell/subsidiary companies based in these secretive and corrupt jurisdictions as a means of transferring blame. Antonio Flores can take heart that the US Department of Justice is at long last starting to batter down the doors of UK offshore tax havens (which are at the heart of US investigation into World Cup corruption) and that these places may be unable to accommodate fraudsters for much longer. Great news again. Hopefully the end of the road for the thievimg and lying barons is on the horizon. Yes we know all about the Rothschilds thanks. Will you sign the petition please and get your members to sign also. You will find that the petition to Peter Rose, Managing Director Bank Guernsey has already been signed by thinwomen and associates. This petition describes events but fails to include any of the names of the companies who provide financial products to the (also unnamed) fraudulent scum who use them to rob elderly people. It has long since been known that the highly secretive, offshore tax evading centres (such as Guernsey, Jersey and the Isle of Man) are complicit in accommodating companies such as the Premier Group who allow any crook to misrepresent and missell their products to unsuspecting pensioners. Equally well known is that the “regulatory authorities” in these nauseating places will never (or rarely) lift a finger to prevent this happening or attempt to protect the public from this scum. The thing is I am not understanding why people who petition to save stray cats get thousands of signatures and we have not even 100. You say it has long been known, etc by you maybe, but I had absolutely no idea of the offshore racket and the sheer dishonesty of Rothschild, often labelled illustrious. The public at large has no idea nor interest apparently in what is going on. Already since last year when pensioners could take their pension in a lump the number of fraud cases has risen from 1.5 million to over 5.5 million. Soft targets, sitting ducks whatever but as soon as I heard of the governments plan to allow pensioners to take their money in a lump that it was a set up to mis sell and take their money. Knowing is one thing sharing that knowledge is another. 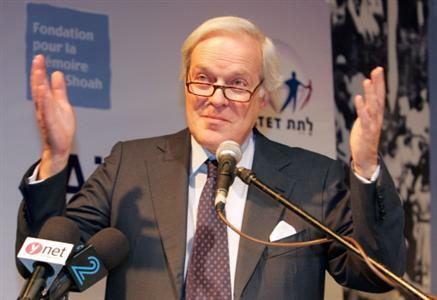 Over the years I have tried to ‘out’ Rothschild but the press wont touch them, everyone is scared of them. I have two threats of libel from them and so it goes on. Anyway good luck with your fight but the public needs to know more than they know now but how?